This is one of the most exciting times of your life and we’d love to be a part of it. Because your wedding is one of a kind, Showtime Music will work with you to develop a unique and wonderful experience. Your wedding will be refined, polished and suited to your tastes. From the most elaborate, fairy tale wedding to the simplest, tasteful matrimonial event, Showtime Music offers an extensive background in coordinating all wedding phases. We are dedicated to working with you in planning your special day, from the first phone call, to the last dance - we'll be there for you, you can count on it! Our highly trained wedding professionals will always put your concerns first in every facet of your special day! Proper attire, enthusiastic attitude, extensive music knowledge and a comprehensive skill in event coordination make us the BEST! With your special day approaching, entertainment is the most important element and should not be left to chance. 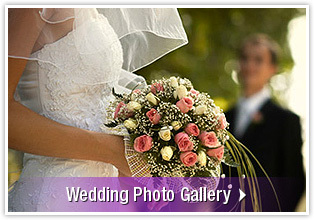 As this is our FULL TIME profession, we keep current on what's new and hot in the wedding.